Experience Points: Hitting Close to Home: Relating to Catherine's "Family Values"
Hitting Close to Home: Relating to Catherine's "Family Values"
This week's PopMatters post is about Catherine's uncomfortably-familiar story. Plenty of people have taken Catherine to task on narrative and thematic levels. Regardless of what ending you get, Vincent seems to be one of the most hapless, unlikable characters in video game history. Most of his problems could be avoided with the slimmest shred of social competence and emotional maturity. Instead, he spends the entire game in an ill-defined personal malaise. Something is clearly wrong with him, but it's never clear what that something might be. I think Matthew Burns is on to something when he identifies Catherine's setting as a "weird mishmash world" containing elements of both Japanese and American culture. I'd go even further and argue that Catherine is a fable for a certain segment of society in America and Japan: young adults beholden to the expectations of a world that no longer exists. 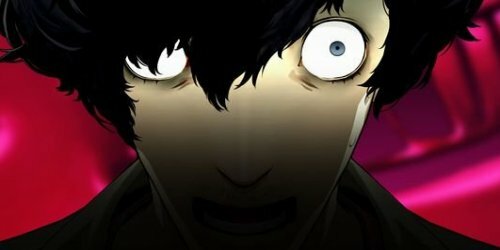 Regardless of whether Catherine takes place in America or Japan, Vincent is a member of a "lost generation." Coming of age in the midst of economic, political, and demographic catastrophes, many American and Japanese 20 and 30-somethings have realized the idealized middle-class life might be an illusion. On the bright side, they are more free than ever to marry whoever they want, whenever they want and to pursue non-traditional careers. Unfortunately, the specter of the Leave it to Beaver life looms large and success is still largely measured by one's ability to have it all: a spouse, kids, a stable job that pays the mortgage, and all the rest of Pleasantville's trappings. I speak from personal experience when I say it's a tricky balancing act. I was excited to see how Catherine's characters would confront this problem. My interest grew as the game's villain, Dumizid, came to represent a physical manifestation of the old, idealized, sexist interpretations of the well-lived life. Here was an opportunity to explore alternatives to either a life of conformity or an aimless existence. Disappointingly, Catherine's characters offer little in the way of heroism. It's true that art is not obligated to offer solutions to social and cultural problems, but it was extremely depressing to see Vincent and the rest of Catherine's cast choose between living by a set of unquestioned social rules or a never-ending existence of extended adolescence. Catherine's morality system offers "freedom" and "order" as polar opposites, but fails to grasp that the two concepts are both mutually reliant and made possible by personal responsibility. Catherine posits that the lost generation find their way by either living according to fallacious social mores or embracing unchecked self-indulgence. Catherine raises the question of what it means to be an adult in a liberal, post-industrial society and offers a few options as to how to achieve a meaningful life. It's a depressing game, not only because these solutions are distasteful, but because they are familiar. My dislike of Vincent's story is personal because it hits close to home. Truly well written and what a superb conclusion! Bravo.